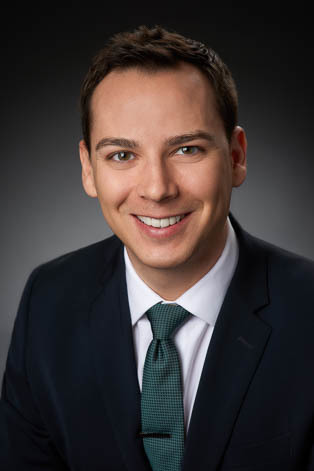 Chris Brinkman practices in the firm's Business Representation & Transactions Group with a concentration in venture capital/private equity, start-ups & growth companies, securities, and mergers and acquisitions. Chris assists both private and public companies with a variety of corporate and securities related matters. He has experience advising venture capital funds, including in fund formation, negotiations with portfolio investments, and fund dissolution. Chris counsels start-up companies in all stages of development, including the ideation stage, through commercial contract and software licensing negotiations, seed stage financings, venture financings, and exit transactions. A significant portion of Chris’s practice involves emerging areas of the law that affect early stage companies. Chris has experience advising cannabis-related companies with respect to formation and financing. Additionally, he advises blockchain and digital currency companies and venture funds with respect to digital token or cryptocurrency sales and related securities law and regulatory matters. Chris serves as an advisor in various entrepreneurial programs. He is a supervising attorney for the University of Cincinnati College of Law’s Entrepreneurship and Community Development Clinic where he supervises law students in counseling start-up companies. He also frequently volunteers as a mentor to entrepreneurs in Cincinnati-based entrepreneurship programs. Chris earned his J.D. from the University of Cincinnati College of Law in 2015. He earned his B.S. from Indiana University in 2009.